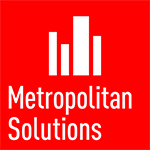 Metropolitan Solutions is a the major cross-industry event about city infrastructures and services. Come to discover current and future city challenges as well as our solutions. One of the key challenges in the Internet of Things (IoT) within professional usages is interoperability: the integration of heterogenous technologies and equipments to create unified M2M infrastructures. As a software efitor and IoT specialist, we bring an innovative answer with CommonSense, our IoT operating system. Moreover, City officials will present good practices during conferences.